A while back, I wrote about the 5 Things I Hate About Facebook Timeline for Pages. I guess it’s only fair that I write the other side for a more balanced account. And really, this one was much easier to write. I really had to dig deep to find the things that I hated. I know some people hate Facebook Timeline. I know a lot of people do. I also know that a very large percentage of these people will hate any change Facebook makes. So they are really easy to ignore. Sure, it’s not perfect. It’s still buggy. And I’m sure Facebook will use this month to clean it up and make improvements based on feedback. 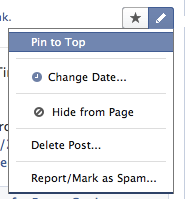 But overall, I’m convinced that this is one of the most important changes Facebook has ever made. Not just important. But awesome. Here are the five things I love about Facebook Timeline for Pages. Might as well start from the top, eh? The photo strip at the top with five rotating images suddenly looks primitive and quaint next to the 851 x 315 pixel cover photo. I love this option. The Internet is going visual. Pinterest is exploding. We all want to try and explain how great we are in 2,000 words, but the truth is that consumers don’t want that. They respond to images. That also makes this a daunting task. What will you do with that cover photo? Will it be an actual photo or will it be a graphic? Who will make it? Will you have multiples that you’ll swap in to keep things fresh? The stress! I’m meeting with an awesome photographer (like Jenny’s page, she’s great!) today to get my profile photo and cover photo taken. And I’m still not sure what I’m going to do! There was a lot of squawking about Facebook getting rid of the default landing tab. But the truth is that… well… If we’re going to be honest… That was kinda dumb. We got used to it. But those landing tabs were squeezed and lame and predictable. Facebook was absolutely right to make the imagery-awesome Timeline be your default destination. But that doesn’t mean your apps (formerly your tabs) don’t have an important purpose. In fact, I’m convinced that the three featured apps (other than your photos) that appear directly under your cover photo will have a significantly greater role now than those boring links on the left had before. I view the top half of your Timeline in much the same way as I view the home page of your website. Nice imagery and design to capture your attention. But then you need people to do something. Go somewhere. That’s why it’s critical that brands reassess what they do with apps. Not only do they need to make sure that the apps are resized to 810 pixels wide (which is awesome, by the way! ), but it’s important that we properly prioritize what should appear in those three boxes. For me, it all comes down to the purpose of your page. Do you want fans to buy something? Subscribe to your newsletter? Check out your website? Participate in a contest or promotion? Those things are now front and center, highlighted by a 111 x 74 customizable app icon (yes, customizable!). You can now use colors and design to make those priority items pop even more, and you can apply a common theme or color scheme across your apps that is consistent with your branding. I love it! And of course it’s one of the things I’m working on as we speak that is keeping me from publishing my Timeline. But it’s going to be awesome. Social media is all about relationships, right? And building your business online is all about customer service and loyalty and hot leads. If you think you can just sit back and spew PR nonsense all day and get return on your social media investment, you and your superiors are going to be disappointed. It ain’t gonna happen. So don’t freak out about this new way for fans to message you. Embrace it. Encourage fans to contact you directly. The only potential negative is having to staff up to handle the windfall of messages. And really… That’s no negative. People often gloss over this one, but I’m more excited about Milestones than I am about Pinning and Highlighting. It’s because of Milestones that what used to be a “boring” page that was rarely updated can now have personality and life. This gives brands the opportunity to tell their story. Don’t be scared of this. Customers — loyal customers — want to connect with you on a more personal level. Tell them where your company started, where it’s gone and how far you’ve come. Use pictures to tell your story. 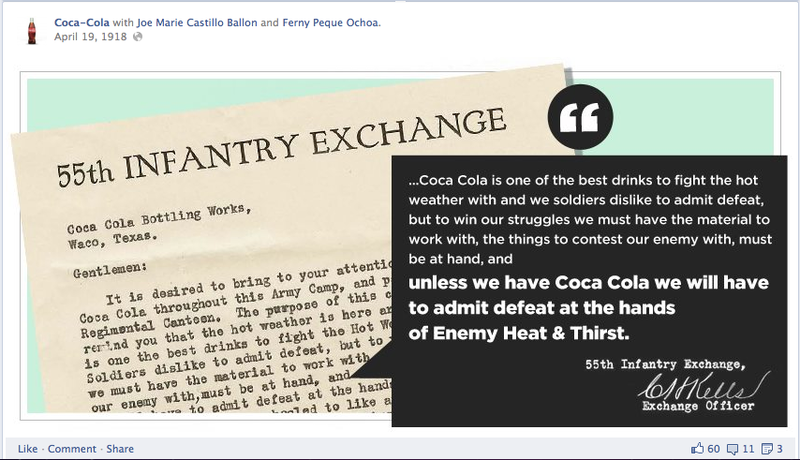 We’re not all Coca-Cola, but they do an amazing job with their Milestones. Use what they did as inspiration! Possibly the biggest problem with Facebook pages before was that due to the rapid fire of information, important news would get buried quickly. Facebook now allows you to “pin” selected stories to the top of your Timeline for up to seven days so that visitors will now see that priority information. And if you’re a visual brand or have some stunning photography, you must use the Highlight option, which will stretch selected stories across two columns. Highlights, combined with Milestones, will make the story in your Timeline pop! Of course, this all assumes that people are going to read your Timeline. Up until now, your Facebook page was not a destination. Only 2%-ish of your fans visited your page. But that’s the motivation behind Timeline to begin with. So let’s not make any assumptions about what fans will or won’t do just yet! How about you? What do you love most about Facebook Timeline for Pages?